Overwatch is a shooter with plenty to love for everyone, and the combination of FPS gameplay and MOBA style heroes with unique abilities has spawned an entire new genre of games ever since Overwatch was released in 2016. None of them have been quite as successful as Blizzard’s entry though, and even today new players pick up the game all the time. Despite the fact that the game isn’t as popular on streaming websites as it once was (except for when the massively popular Overwatch League is live) it’s very far from being irrelevant or ‘on the way out’ as some people are claiming, so we’ve been taking a look at our data and we’ve come up with the top five most used mice by Overwatch pros. In this list we’ll sum them all up, along with a bit of information about the mice themselves. As with every peripheral it’s important that you choose whatever suits you best; just copying a professional’s setup won’t give you their skills, for instance. Regardless of that, it’s hard to go wrong with that the pros are using, so this guide should serve as an ideal baseline for beginners and veterans alike who’re looking for a new mouse. What makes a mouse good for Overwatch? This question is a little hard to answer since there are so many different roles and playing styles in Overwatch. 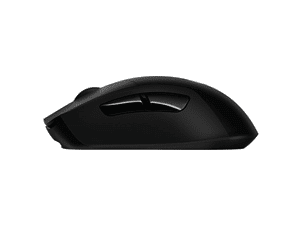 A hitscan DPS player, for instance, will probably gravitate towards a more classic, lightweight FPS mouse whereas a tank player doesn’t really need to focus on pixel perfect aiming all that much so it’s definitely possible to go for a mouse that’s got a little more weight and extra buttons in that case. But we’re obviously generalizing things quite a bit here. These things are a matter of preference, so with a game that’s as varied as Overwatch it’s kind of hard to pin down exactly what would be the perfect OW mouse, if the ‘perfect mouse’ even exists for any game or genre for that matter. What’s interesting is that Logitech seems to really know how to please the OW pros. Logitech mice have been well-liked by the Overwatch community (and the gaming community as a whole) for well over a decade now, and while some of their past releases had some design cues which landed them firmly in the ‘love it or hate it’ category their newest effort, the G Pro Wireless, seems to be an absolute smash hit. This mouse currently features in all of our top five lists, so it’s safe to say that this is one of the better gaming mice out there at the moment. While the G Pro Wireless takes the throne Logitech firmly solidifies their grasp over the Overwatch kingdom by taking up the remaining four spots, making this list literally all Logitech. So if the pros are to be believed you’re good to go if you opt for a Logitech rodent, but that obviously doesn’t mean that there aren’t vast differences between the models themselves, so do read on if you want to find out more. Details of this mouse were leaked way before any official announcement, but the hype train really got going when SF Shock (at the time) player BABYBAY showed off an early version of the mouse on his stream. Various gear-loving parts of the community started going wild shortly afterwards, and when the mouse finally released it became clear that the excitement wasn’t for naught. 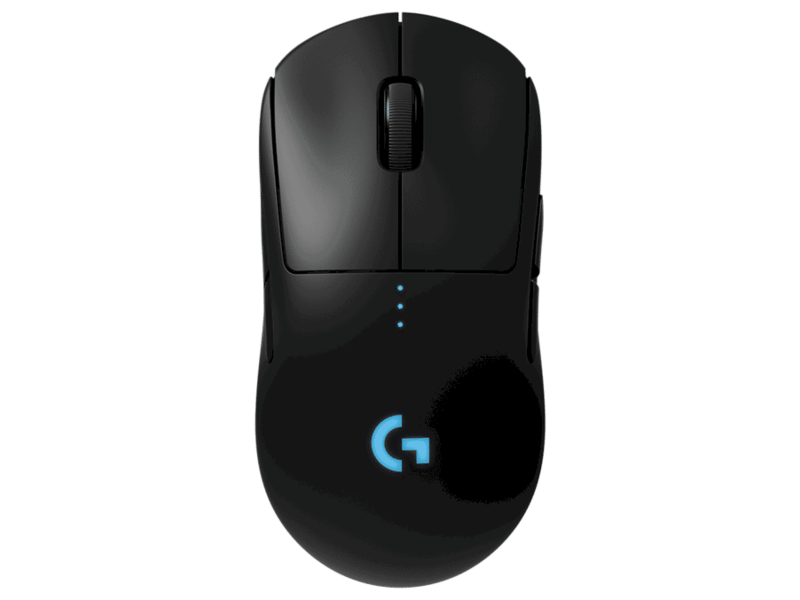 The G Pro Wireless sports the flawless HERO (High Efficiency Rate Optical) sensor, which is Logitech’s own version of the 3366, and due to the changes they made to the sensor it consumes less power while still delivering the same performance, giving the mouse a very impressive 40 hour battery life. All of that is housed in a lightweight (81 grams) shell that’s got a much safer design than their earlier top-tier wireless mice, so if you read all that it’s not hard to imagine why this particular product is so widely used by professional gamers. Logitech’s Pro line is always aimed towards competitive gamers, and the G Pro Wireless isn’t an exception to that. Going wireless is a great feeling in and of itself, but it’s not gonna be of much use to professional players if it introduces delay or loses connection all the time. That’s not the case with Logitech’s LIGHTSPEED technology though. It’s as fast as a good old wired connection and it’s as stable as can be, so it’s safe to say that the days of subpar wireless mice are well and truly over. To further improve on the Pro aspect of this mouse Logitech has added a rechargeable battery (so there’s no need to carry extra batteries or rush to the store if you run out), internal memory to store your mouse settings, and even a little compartment to house the mouse’s receiver, making it a super portable option for gamers who are often on the go. Aside from the fact that it’s an impressive technological feat the G Pro Wireless is also just a great gaming mouse in general. It’s got a top sensor, great buttons, a nice and comfortable shape, and configurable side buttons. If you want to hop on the wireless train without having to make any compromises this is definitely the one to go for, but even if you don’t care about wires the G Pro Wireless deserves a thorough look. 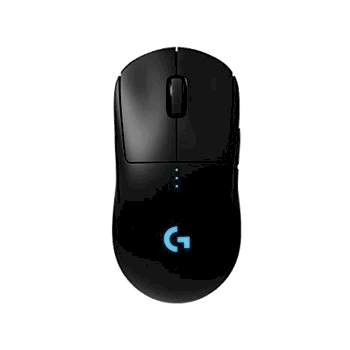 The G Pro Gaming Mouse was originally just called ‘G Pro’, but since the G Pro Wireless and the G Pro Gaming Mouse have almost nothing in common except for the name they decided to add ‘Gaming Mouse’ to the old monarch’s moniker to further help differentiate the two. Yes, we do agree that Logitech can still improve their name game. Regardless of that, the G Pro was (and still is) a great gaming mouse. When it was released along with the G403 they were among the first mice to introduce the flawless sensors that we now see in every gaming mouse worthy of the name, so we all owe a lot to this little mouse. One of the major complaints that people had with the first G Pro was that it came with a stiff and braided cable which could absolutely interfere with gameplay. Some people are more sensitive to those kinds of things than others, but it remains a fact that the cable was by far the first thing that gamers wanted to see an improvement on, and when Logitech released the G Pro Wireless they showed that they listen to their audience by slapping a much more flexible cable on the G Pro Gaming Mouse. In addition to that they also replaced the 3366 sensor in that mouse with Logitech’s own HERO sensor. The shape still won’t be for everyone (read our review on the wireless version of this mouse, called the G305, here) but now that the cable has been updated there’s no reason to call this mouse anything but top tier. If you’re a fan of smaller ambidextrous mice and/or you’re looking for a lightweight mouse with not a lot of ‘presence’ in your hand this is definitely worth your consideration. If you do decide to go for it we would certainly recommend to buy the newer version with the smoother cable however. The G903 is the odd one out. Whereas the other mice in this list are mostly (on the surface) pretty basic mice with nothing extra tacked on the G903 offers up a ton of extra features. Underneath the hood it’s a ‘standard’ gaming mouse: it’s got a flawless 3366 sensor, nice clicks and a zero latency (wireless) connection but this particular mouse also offers a tilting scroll wheel (which can be set infinite scrolling), configurable side buttons, and two DPI buttons (which can be programmed to do whatever you want) on the top shell. This all comes in an ambidextrous package which, if you look at all the features it offers, it still pretty lightweight at 108 grams. 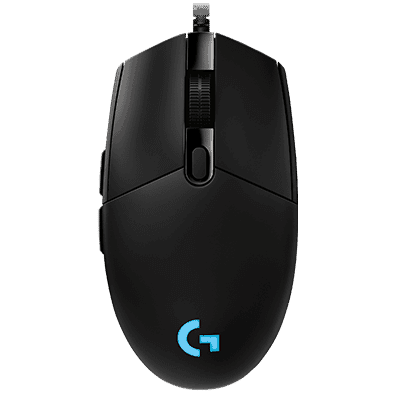 The G903 is the mouse of choice for some of the Overwatch League’s most prolific DPS players, despite weighing (a bit, admittedly) more than the magical 100 grams that’s often cited as being the limit for FPS mice. There is obviously an upper limit to weight and there’s no reason for pretty basic mice to weigh a ton, but the G903 comes with a whole host of added features on top of being a larger mouse in itself so the weight of it all makes a bit more sense if you see it in context, and there’s also the fact that wireless mice often feel lighter to use. Preferences are preferences, and some people definitely perform way better with lighter mice (and vice versa) but it’s interesting to see some of the league’s best DPS players using a mouse that would immediately be denounced by some people because of the weight. If you feel like you do better with slightly heavier mice and/or you want a mouse with lots of extra features and buttons then this is definitely the best match out of the five mice in this list. One of the main things that we’ve learned while compiling the data for this list is that the Overwatch pros have fully integrated wireless mice. If you’d have told gamers five years ago that over a third of professional gamers in one of the world’s largest esports leagues would be using wireless mice you’d probably be laughed at. Wireless tech used to be utterly unreliable for pro gaming, but since Logitech’s LIGHTSPEED technology that’s a thing of the past, and now we see more and more brands coming out with their own wireless tech, which is something we can only applaud. The G703 has a rechargeable battery, nice clicks and a 3366 sensor. That sensor is the predecessor to Logitech’s HERO sensor, but the 3366 performs every bit as flawlessly as its successor. The only difference is that it consumes more power while doing so if you’re planning on doing a 24 hour stream with the RGB lighting turned on you’ll be cutting it a bit close. An entire day of (ingame) battery life is definitely very respectable and more than enough for a lot of people, so this shouldn’t be an issue. Just remember to take your charging cable if you’re going out gaming for the weekend. The shape of the G703 has historically always been a hit or miss kind of affair. There’s a pretty pronounced hump towards the back of the mouse which, depending on who you’re speaking to, feels either amazing or super weird. If you want a palm-filling ergonomic mouse with top internals this could be it for you. It’s also wireless (with a rechargeable battery) so if you’re looking to cut the cord and you prefer ergonomic mice this deserves a look. 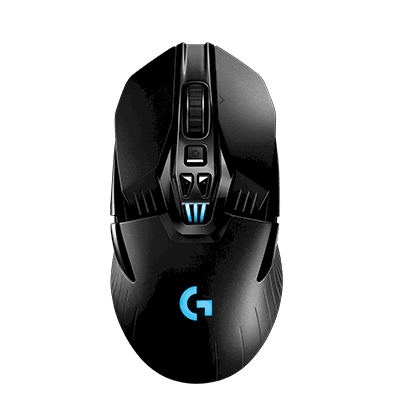 The G403 was released alongside the original G Pro (now called the G Pro Gaming Mouse) and was one of the first mainstream gaming mice to house a flawless sensor. Just like it was with the G Pro Gaming Mouse it had a pretty stiff and braided cable though. The cable has since been fixed on the G Pro Gaming Mouse, but that’s not the case (yet?) for the G403. 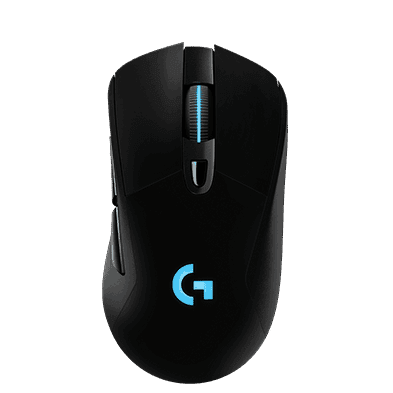 Aside from the fact that it’s wired there isn’t any difference between the G403 and the G703, so we’d recommend the G703 over the G403 if you want to game with this shape and you have the cash for it. If you like the sound of what the G703 is offering but you absolutely want a wired mouse this is the one to go for. It’s also cheaper than the wireless version, so if you’re on a tight budget this can also definitely be considered. Overwatch is a game that can be played by a whole variety of people. If you’re someone who prefers the tactical side of gaming you can be a tank main, and if you’re the best at clicking heads there’s a myriad of DPS heroes to choose from. For this reason you’d be forgiven for thinking that this list would be a pretty varied one with a lot of different mice at almost the same percentage, but that’s not really the case. The Logitech G Pro Wireless reigns supreme with about one fifth of all pros using it, and after that it’s still a Logitech party. What is interesting that these mice are all used by a variety of roles. 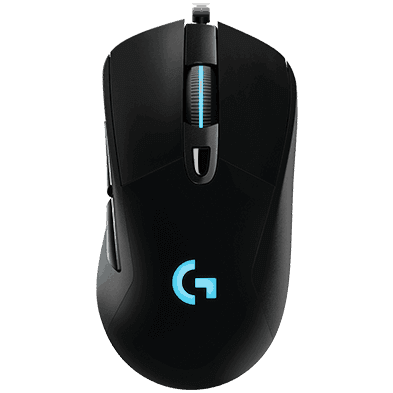 You’d think that a heavier, more tricked out mouse such as the G903 would be used by more tactical players who rely less on aim, but that mouse is the mouse of choice for some of the league’s most celebrated DPS players, for example. That only reinforces the fact that a lot comes down to personal preference when you’re choosing your peripherals. There are a lot of aspects to a mouse that can be judges objectively (build quality, cable, sensor, button travel, …) but things such as weight and shape rely very much on preference. In any case; we hope this list has been informative and that it’s helped you create a sort of idea on what mice you should consider in case you’re looking for a new one.